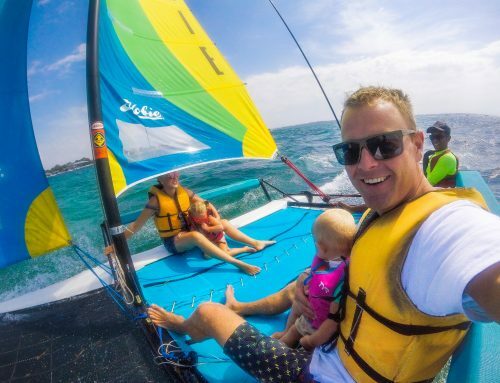 As my maternity leave is due to finish very soon, people are asking me “what will the travel mad fam do next?” It’s a very good question and I have to admit its a decision we have agonised and struggled with – ALOT! We talk about things every day, going around and around in circles about our life goals, we never come to a clear decision. It’s actually draining to be honest. To a certain extent I blame the fact we are from opposite ends of the world, both wanting to be close-ish to family. Trying to decide on a half way point is hard. It also means we are isolating ourselves from any family! I have always been certain about what I want from an early age. I knew I wanted to be a nurse. After graduating, I knew I wanted to travel, have fun and live life to the fullest. Once I met hubby ‘Travel Mad Dad’, we spent lots of time doing our favourite things together. We got fed up with partying after a while and knew we wanted to develop a property empire as part of a life plan. We don’t have a property empire by the way, we have one house with a relatively big mortgage in comparison to our income! We have bought two very run down properties in the last four years that needed a lot of work. We bought a bigger one the second time with the profit off the first one. I mean it was a big job, back to bare brick, moving kitchens into bedrooms, knocking walls down and so on. It was tough being pregnant (twice) during that time. 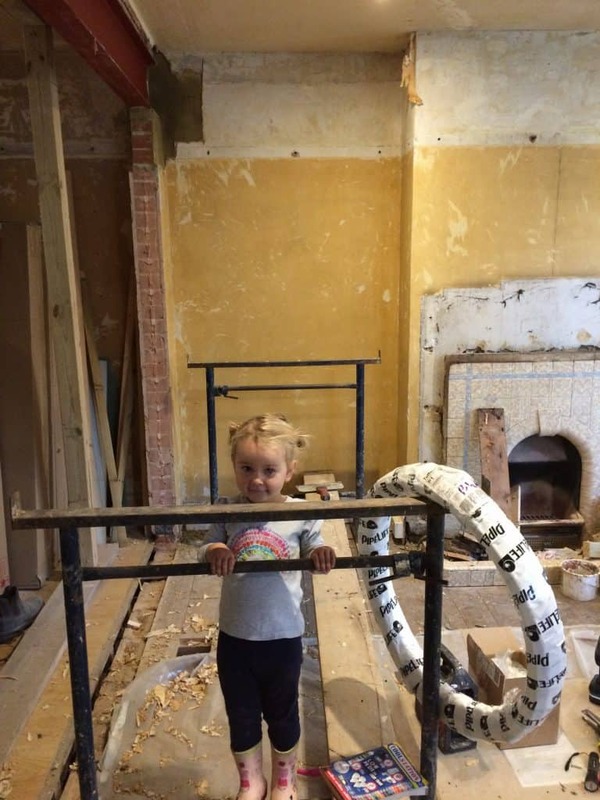 As well as working full time as a nurse, running a busy blog, and doing the renovation. Oh and we threw my masters and our wedding in there for good measure. Not to mention Travel Mad Dad was our builder. He did pretty much everything himself in a bid to maximise our profit. I am a firm believer that we need to have a plan for the future, an estate for our kids, something to fall back on! I do not fall into the category of ‘we sold everything to travel the world’. I feel the many families that are coming out and saying that are either crazy, or are not giving the full picture. We know a lot of people look at us and envy our travel lifestyle. I think its important they know what exactly goes into getting that. Yes, we definitely get sponsored hotels as a blogger, but we’ve still spent 20k GBP travelling in the last year-easily. Working into our sixties is the most miserable concept to both of us. We want to maximise the time with our kids. Gap years amongst a couple of years of work. We really want to do all we can to retire by the age of 40. Now, lets be honest, thats never going to happen with a travel blog. We do earn a little bit from it. If I was single, I could probably get by with supporting myself, but not an entire family. I’m returning to work on the 18th of June after an incredible year of travelling around the world with our two kids on maternity leave. It’s breaking my heart and I am so jealous that my husband will get to be at home with the kids. As it stands we are thinking of selling our current property. Ideally we would like to use the profit (if possible) to downsize and buy a smaller place. We could renovate again but I don’t want to. The idea is, we can rent it out and live off the income to a certain extent if we can manage to get mortgage free. There may be a plan, in the not too distant future to work in a location where my earnings would be tax free and our accommodation would be provided. Meaning our outgoings would be minimal and we could save ALOT! As much as my heart is wanting to continue to travel here and now, we need to be wise. Our (potential) new base would mean we could explore a new continent in depth. When we were at home in the UK, we travelled once a month to Europe. This is where the life goals and future plans come in. We have been toying with the idea of setting up a boutique hotel or holiday home of some description. Since travelling through Central America, we have been torn between Nicaragua and Bali as our destination of choice. Bali was always the winner, but Nicaragua through a spanner in the works. We feel we are very lucky with our blog to have stayed in some incredible hotels, villas and home-stays over the last three years. I would go so far as to say we are ‘experts’ in the field of reviewing and writing about places. We definitely pick up on things we may not have otherwise noticed without all of our experience. We want to put that knowledge to good use. In Bali alone, we’ve stayed in at least thirty places. Many of the places have been beautiful villas. However there is one that stood out far above the rest. 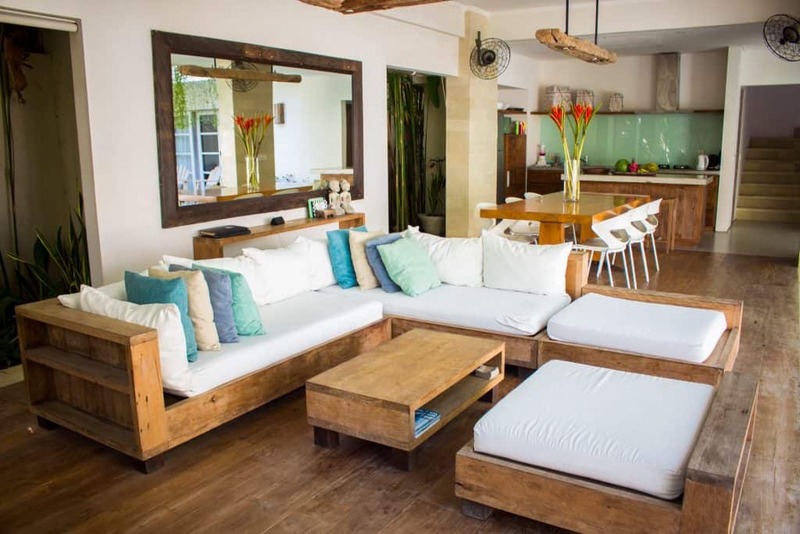 The Pantai Indah Villas in Canggu! Maybe its because the owners story resonated with us. 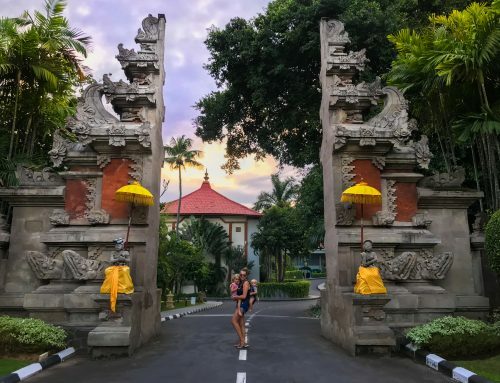 The Canadian couple visited Bali on their honeymoon. Falling in love with the place so much, they spent three years searching for the perfect plot of land to build two villas. 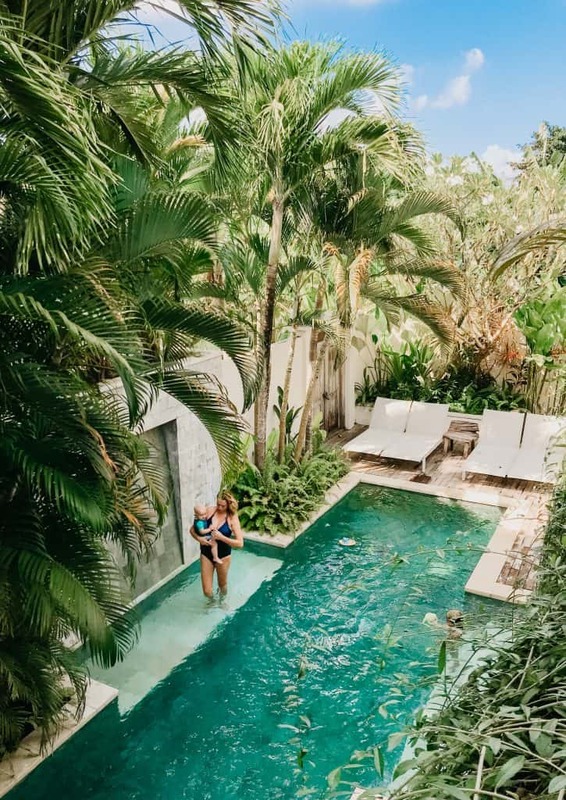 Several years on, the twin villas are serious life goals for anyone wanting to do something similar. They have a booking.com score of 10 out of 10! That is unheard of! 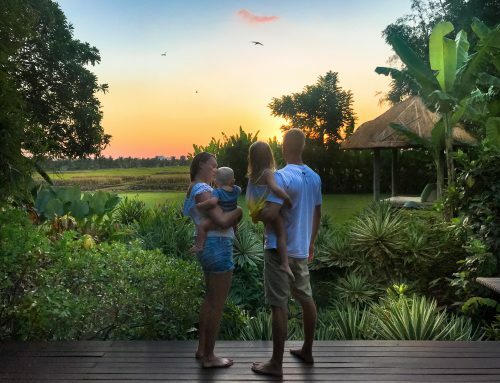 Although they live in Hong Kong now, I understand they come home to Bali regularly. Throughout our trip, I have been taking pictures of the best thing about each place and saving them in a Pinterest folder for later. Wether it’s a very cool entrance to a hotel, or a clever petition wall with unique design. We would love to take the best of the best from each place and put the ideas into something of our own. I absolutely love how Pantai Indah have done it. They have two villas side by side. They are super private and secluded, but also a stones throw from the beach and surf. The interior design Is out of this world and we love the outdoor living concept.The kitchen, dining, living room and bathroom space is all open. Its like a manicured tropical jungle with tall plants and shade from giant leaves everywhere. They surround the swimming pool, shade the roof top deck, and give the bathroom a lovely touch. 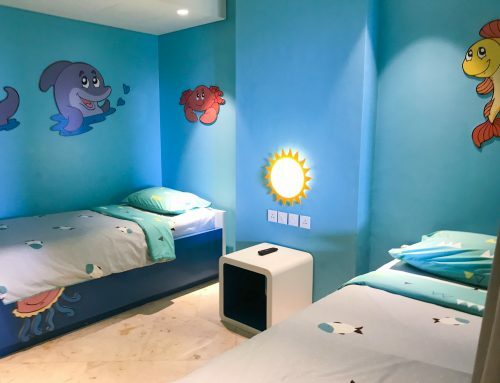 They have three bedrooms, everything faces into the swimming pool. Esme had her own room with bunk beds. My sister used the guest room upstairs. We really got a sense of what we want. We loved that its not a hotel, but rather someones home that is also a high end boutique villa when they rent it out. They have a small number of staff that seem to be apart of their family .They keep the place going in their absence. Those staff members are what really gives Pantai Indah a special touch for guests. They come into the villa in the morning and make breakfast for guests. Fresh fruit was chopped, coffee brewing and flipping pancakes. Someone cleans the pool, waters the plants and tidies up the gardens. They are so welcoming and lovely. So I guess, our visit to the gorgeous Pantai Indah Villas are a reminder of something we want. We want to save hard and maybe do something similar with our own touch. Somewhere we can call home but also give other tourists an amazing experience! For that we need to save hard and play our cards right with the selling of our house. It’s not going to happen now or next year, but it will be a working progress. Not unless there is a super rich investor reading this right now?! We want to keep the blog up, but in reality I have to be the one that works. Travel Mad Dad is going to help a lot more moving forward. All the back end things like managing a website. I will continue to write all my captions and blogs. He will do the labour intensive side of laying it out on the website nicely. So for now we are keeping our fingers and toes crossed that we can sell our home and downsize in the UK. Who knows maybe I can get the job I need to save really hard for a dream business. Then we could most certainly travel a lot as our kids get older. I mean we have no intentions of stopping travelling. All thats going to happen is we will transfer from every day to once a month in June! So there you go. The travel blogging thing is not all glitz and glam, but rather grit and grime house renovations. Work hard and play hard, thats our motto. Oh and one last thing for the record, we tend to change our minds weekly about what we want to do. The above is the only thing thats stuck for more than a week! Maybe we won’t ascertain the dream, we can only try right? Its good to have goals and aspirations. Enjoy whatever comes your way! Admire your hard work and tenacity. We live in a country where my husband who is a UK qualified paramedic earns a tax free salary and our accommodation and health insurance is paid for along with annual flight allowance. I say go for it. It can be tough at times but we’ve never regretted it. Ahh thrilled that you have had two years that most people would never get the chance to do, and that you have such cool options for the future. REALLY excited to see what happens- and for lots of play dates in London, of course! I think you’ve got it right with working and living in another country. 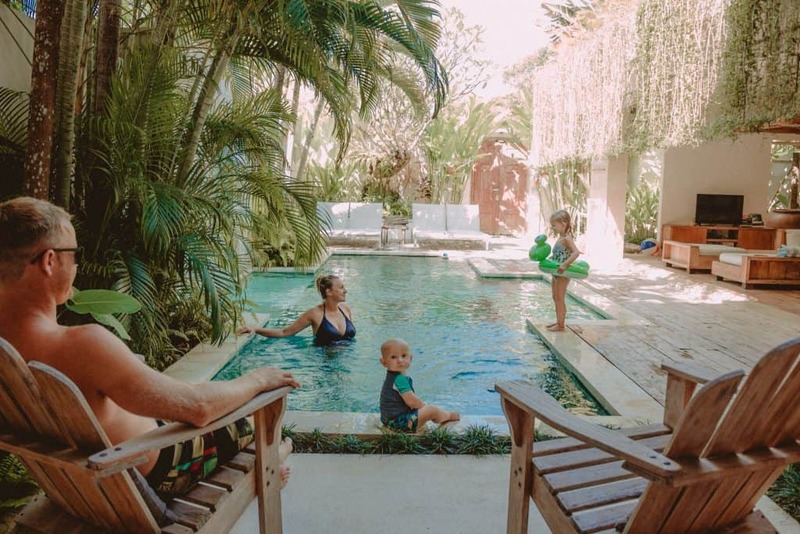 My husband and I have been both doing this since our early 20’s, now with kids but it means you maximize your earning potential years but still feel like you are exploring and traveling. Our dream is to retire early and we’d love to have a ‘chain’ as we like to call it of properties we rent out. So far we have 3 in 3 different countries and the dream would be mortgage free on all three and live off the income! Couldn’t help remark. Read a few of your posts. Your thoughts so resemble ours. We keep shifting our future plans regularly. The only thing that remains constant is the desire to keep traveling and also writing about it. Having a kid did not stop us. And another one is on its way. I can’t wait to get back to the travel and the holidays. When you get time do visit our website. It’s called revolving compass. Do leave us your feedback.